The Cottage was the early homestead for Eagle Cliff Ranch. Built in the early 1900's this pioneer home has been renovated but has kept its charm. 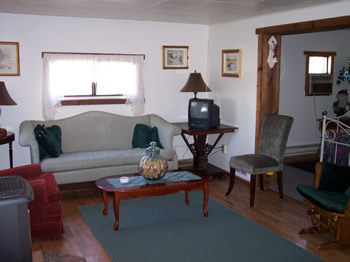 The Cottage has the original wood floor in the living room with a free standing stove for cozy warmth. 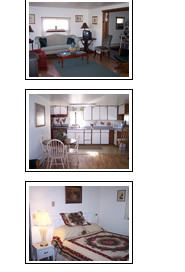 A sitting area is right off the living room with a walk in laundry closet containing a washer and dryer. 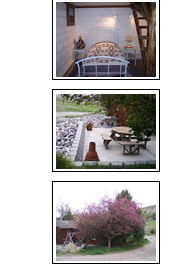 This home has two bedrooms and one bath. There are great views of the Yellowstone Valley from the front window.